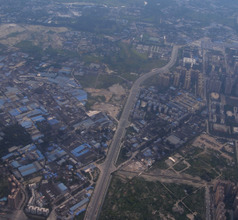 Capital of Qinghai province, Xining had an important role on the ancient Silk Road. Xining, the capital of Qinghai Province, China is endowed with the world’s most stunning scenery. The city is located in the picturesque Hehuang Valley at an elevation of 2261 meters above sea level on the Qinghai-Tibetan Plateau. 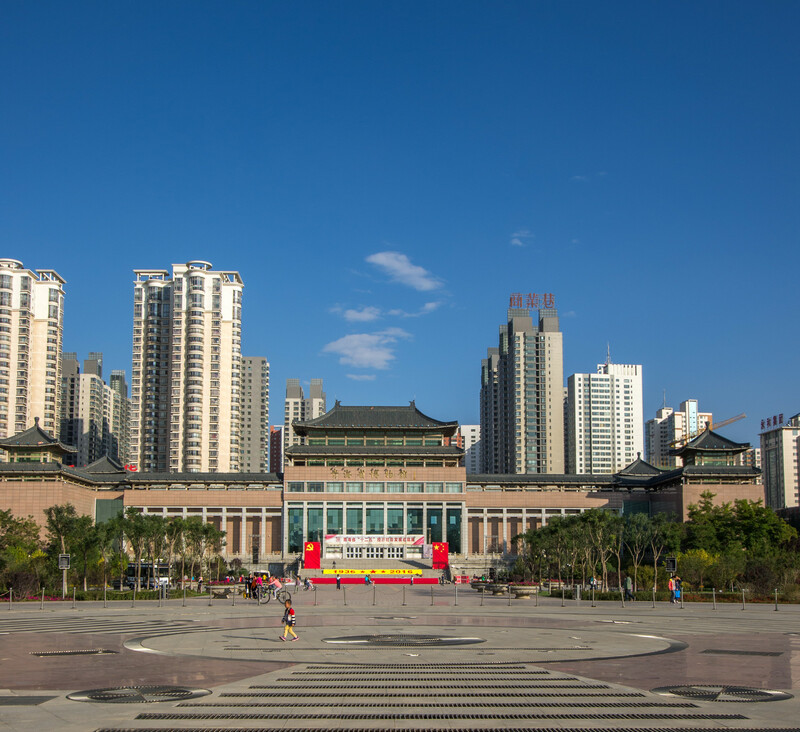 With the Huangshui River (a tributary of the Yellow River) passing by, the city’s beautiful landscape is enhanced further and this urban city is surrounded by lush greenery. With a backdrop of magnificent Danxia landforms, a UNESCO site, Xining City is a true paradise on Earth and a popular tourist destination. 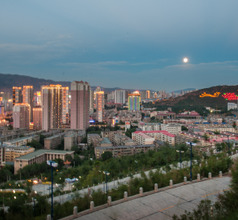 In fact, Xining was considered the summer holiday resort by the Chinese imperialists in ancient times. 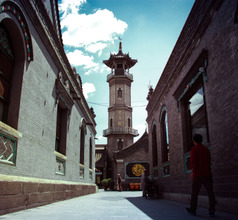 The fact that today’s Xining City has a colorful mix of 34 ethnic groups who follow different customs and traditions makes it even more interesting as a tourist destination. There is a major presence of ethnic groups like the Hans, Zangs, Mans, and Huis. 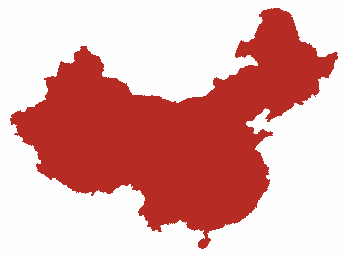 They follow different religions like Islam, Tibetan Buddhism, Chinese Buddhism, Daoism, and Catholicism. These ethnic groups have lived here in accord with each other and in harmony with nature for many centuries. 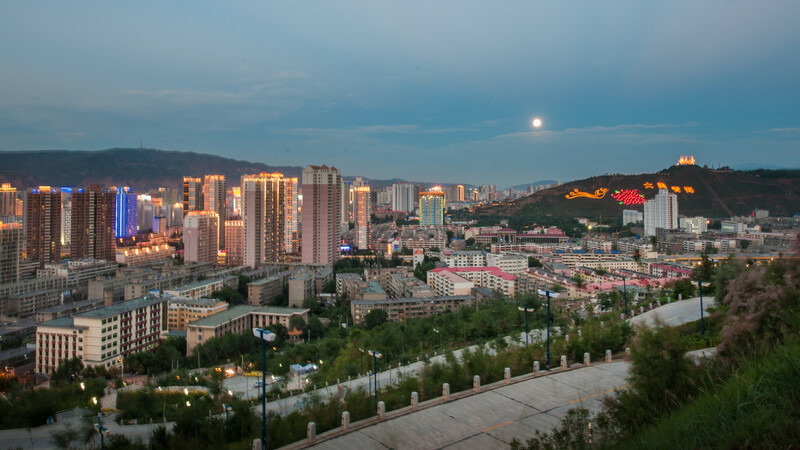 Xining City has a history that goes back 60,000 years. 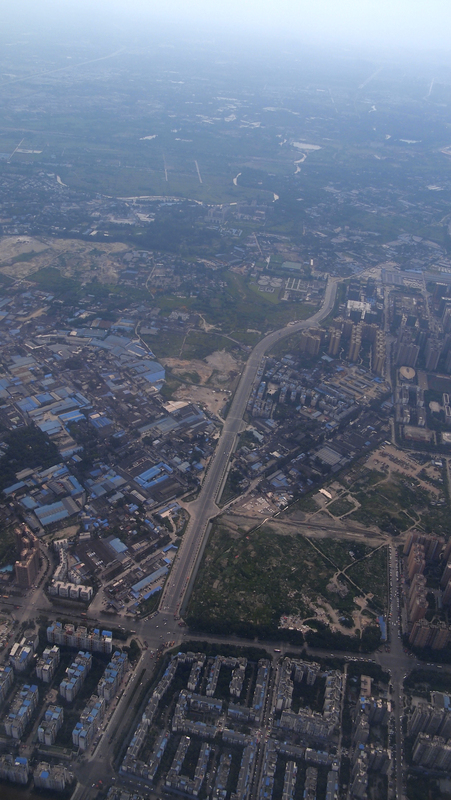 It was called Jinchengjun, Shanzhou, Xipingjun, or Qingtangcheng during different eras. 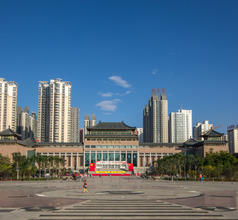 The city is the home of the ancient Hehuang Culture which existed along the banks of the Huangshui River. Being on the ancient Silk Route, the city was a pivotal link between the western border towns of China and the central plains. Even today, the city has retained its status as a major communications link and is the starting point of a few very important railway routes. 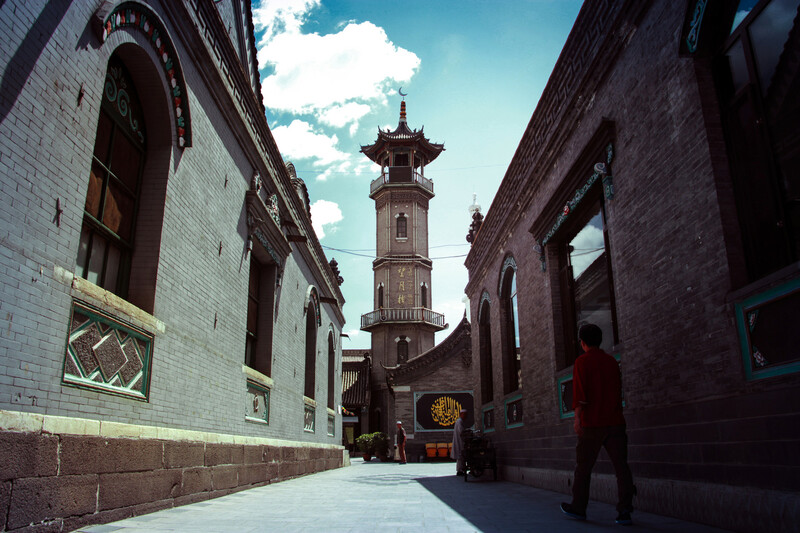 With ancient relics and ethnic villages where the people follow age-old customs and traditions, Xining City has an old-world charm on the one hand. On the other hand, it is a reasonably urbanized area with markets, excellent hotels, efficient public transport, entertainment facilities, and more. 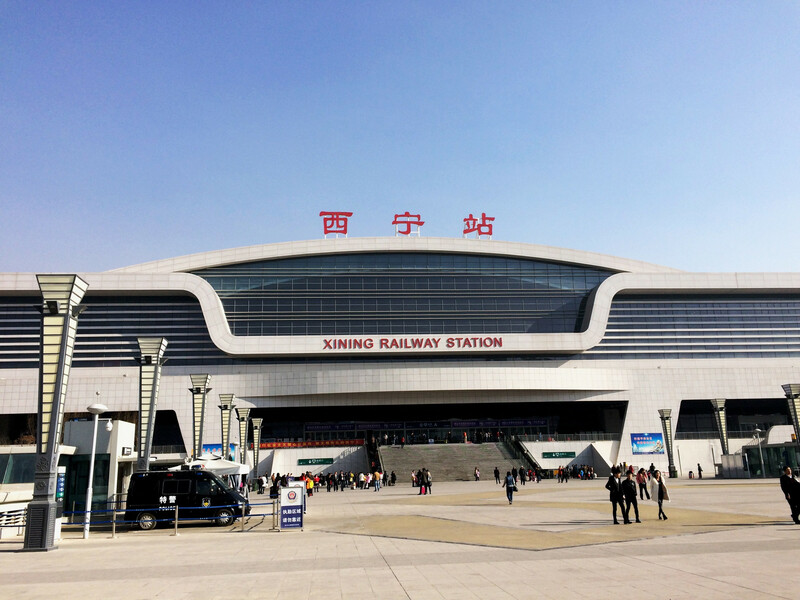 Xining City has come on the map for overseas tourists only recently although it has always been a popular spot for domestic tourists. The city has a wide choice of good quality accommodation. One can choose from 2, 3, 4, 5-star, youth hostels, inns, guesthouses, and a variety of serviced-apartments. So there are options available to suit every lifestyle and preferences within a given budget. The 4 and 5-star hotels offer real value for money because they have in-house multi-cuisine restaurants. They also offer other 24x7 services like airport shuttle, housekeeping, concierge services, laundry, babysitting services, swimming pools, in-room dining, customized and guided sightseeing tours, and more. The staff in some of the small places may not understand English so it is best to download a suitable translation app or carry an appropriate dictionary. About 2-hour’s by train from Xining City is the UNESCO World Heritage Site, the Zhangye Danxia Landform. Having an elevation of 1500 to 2500 meters above sea level, this tourist attraction is also called the Rainbow Mountains. The mountain cliffs consist of red sandstone that has formed exquisite patterns due to natural erosion. It is a great place for hiking and photography. 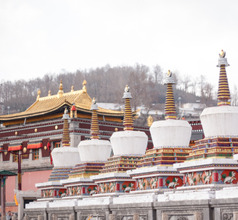 The 400-year-old Kumbum Monastery (also called Ta'er Lamasery) near Xining City is not only a pilgrimage site but is also an administrative seat for the Gelugpa Tibetan Buddhist sect (Yellow Hat Sect). The monastery was built in honor of Tsong Khapa, the founder of the sect. It consists of several palaces, prayer halls, exquisite statues, and murals all over the temple complex. 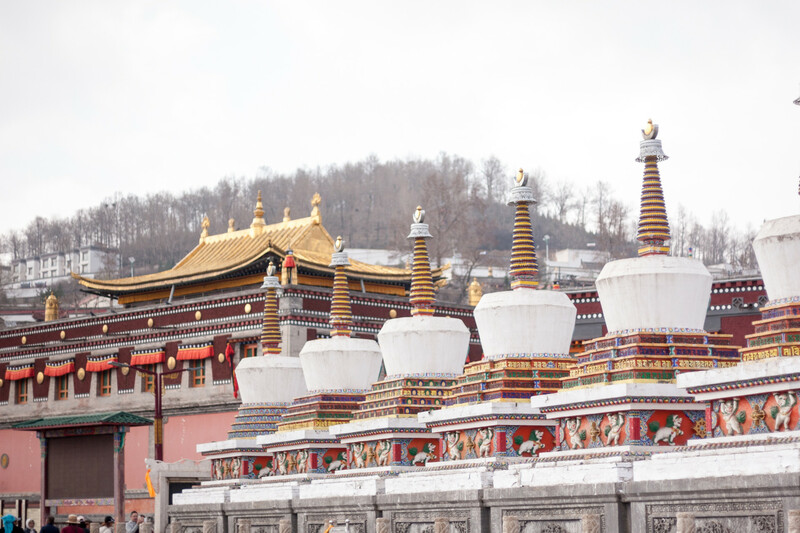 The YouNing Monastery is another attraction that is worth a visit, but it is a little distant from downtown Xining. About 151Kms from Xining City is the Qinghai Lake Scenic Area. It is the biggest salt-water lake in China and even has its own islet, the Bird Island. The lake is famous for its stunning scenery, rolling grasslands (where cycling is a popular activity), and countless species of nesting birds. The Chaka Salt Lake Scenic Area is a different kind of tourist attraction located about 300Kms from Xining. On the banks of the lake, there are naturally formed salt sculptures having unusual shapes. The Datong Laoye Mountain Forest Zone is a very picturesque region. It is located 35 kilometers from Xining City and is blessed with the most stunning vistas worth seeing and photographing, especially in July and August when the wildflowers are in full bloom. The North Mountain Temple is a Taoist shrine built on top of a hill near Xining. Many parts of the temple are closed due to safety issues, but tourists still climb the hill because the summit offers a wonderful panoramic view of the green surroundings. 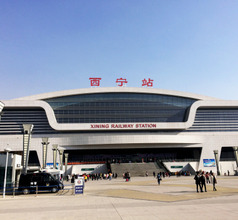 Xining Caojiabao International Airport is 30kms away from urban center of Xining and has a single terminal with standard amenities. For RMB21, airport shuttle goes downtown till 20:00, taxi takes 40 minutes and charge around RMB100 and public bus takes an hour and 15 minutes. 70 plus flights a week are offered to Xi’an with regular flights to Chengdu, Beijing, etc. International links to Tokyo, Taipei, Kuala Lumpur, Siam Reap and Nha Trang are available. The food specialties of Xining City reflect the cooking styles of the Tibetan Buddhist and Hui Muslim ethnic groups. So the local cuisine is a brilliant mix of dishes with simple ingredients and those with exotic ingredients and flavors. Hand-pulled noodles, fried flour slices, and dry-stirred noodles are the staple. Another staple is the Muslim-style yogurt which is naturally sour and is made from cow, buffalo, or yak milk. The yogurt is also available in a sweetened form. Some of the other local specialties include mutton roast, steamed buns, golden fish with vegetables, boiled mutton, beef with chrysanthemums, chicken with caterpillar fungus, stewed hump, steamed Huang fish, Shashlik (BBQ mutton pieces on skewers), lotus fish, sheep tendon cooked with ginseng, lamb tenderloin, chicken kebab (grilled meat on skewers), cold noodles, entrails soup, hand-held mutton, lamb liver, etc.